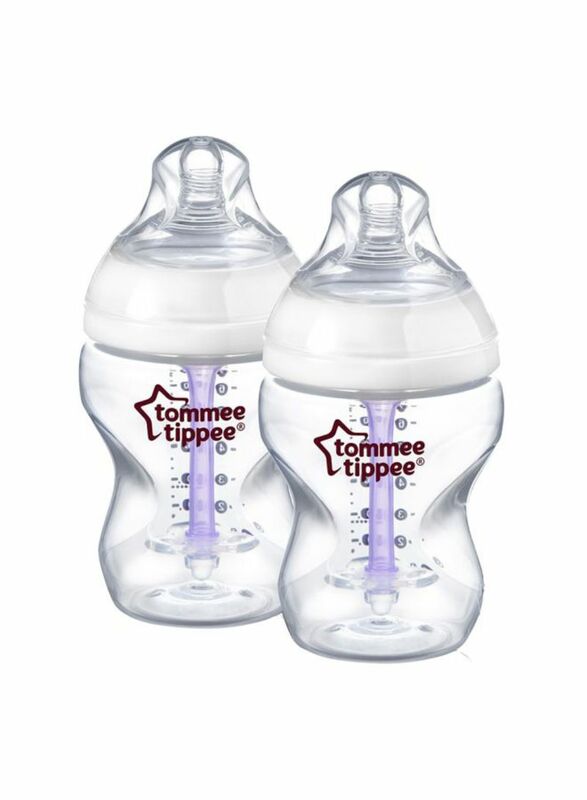 Tommee Tippee set of 2 closer to nature advanced comfort baby feeding bottle are designed with the patented teats and air venting system to mimic the natural flex, feel and movement of breastfeeding and to prevent colic caused by air bubbles in milk. The super-wide neck design and slow flow teat makes it easier for baby to latch on to whilst feeding and each bottle holds up to 260ml of liquid. The new advanced comfort range is suitable from birth to 3 months and is interchangeable with the original closer to nature anti-colic range.